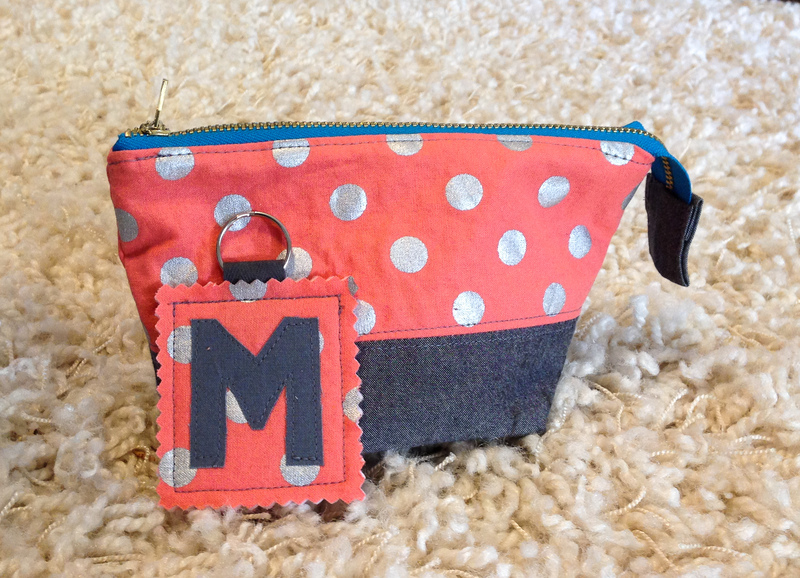 I woke up Christmas Eve with the perfect handmade gift idea…. 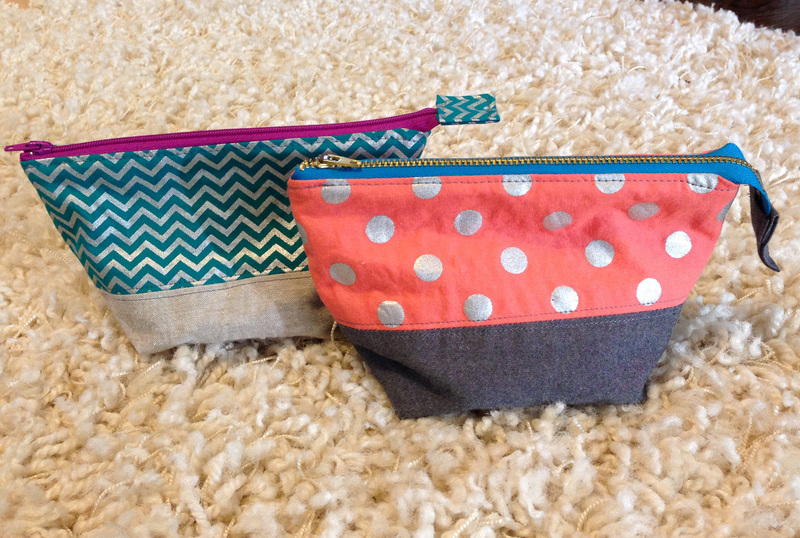 some open-wide pouches and coordinating key chains. Now this is no rocket science idea; I’ve made open wide pouches before, but for some reason I hadn’t though about them in a while, and it hit me that this was the perfect little addition to my presents for the women in my life: my mom, sister, sister-in-law, and mother-in-law. My long-suffering husband rolled his eyes and watched the boys for me so I could get in this last minute sewing. I found some metallic (!!) fabric at Joann that I knew would be perfect and quickly put together 3 pouches (one not shown) and 3 keychains. Pouch is the free pattern (small version) from Anna at Noodlehead. For some reason, the first one I made took a little while as I had to re-read all the instructions especially for the bottom gusset, but once the first one was finished, the other two came together super fast. I just love the boxy bottom of these pouches- perfect for my sister to fill with pencils or makeup and throw in her school bag. Fabric used: Metallic from Joann, Robert Kaufman Chambray, and Yarn Dyed Linen in Flax. Keychains are loosely based on the tutorial from Jessica at CINO. I interfaced both sides of the fabric with Craft Fuse 808 and then also fused a piece of Fusible Fleece in the middle. I’ve tried a few of these in a circle style but have decided I prefer the rectangle. Altogether a few quick and easy projects to keep in your back pocket when you need a last minute gift idea. 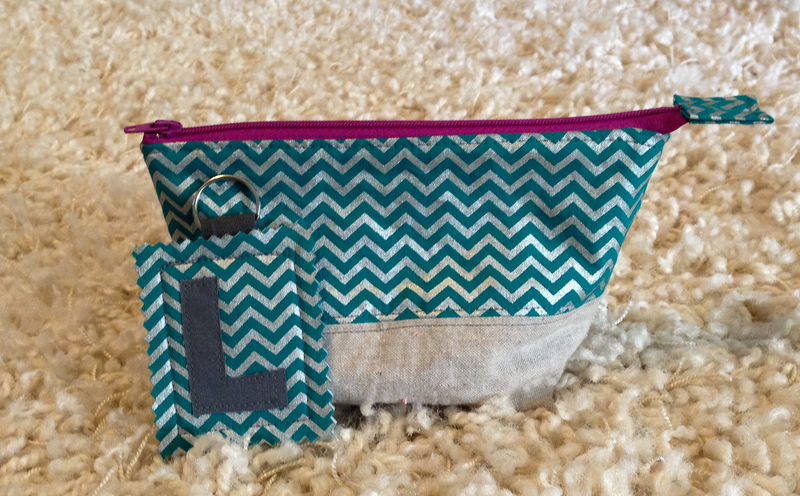 This entry was posted in Accessories, Gifts and tagged diy key chain, fabric keychain, monogram keychain, open wide pouch, zippered pouch by oliver's fancy. Bookmark the permalink. 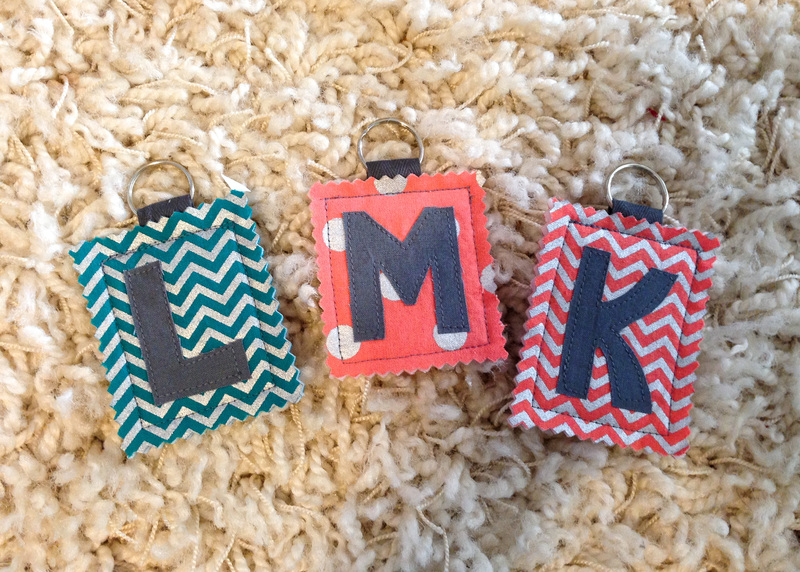 super cute keychains! I’m going to have to get my hands on some of that metallic fabric!